TEMECULA – City dwellers may once have thought that gardening was a hobby for suburbanites or those living in rural areas. But urban gardening has grown in popularity as more and more city folk have looked for ways to increase their access to healthy, low-cost produce. 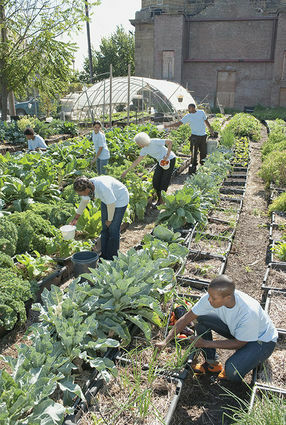 Urban agriculture may seem like a relatively new idea, but according to National Geographic, it actually dates back to the 19th century, when former Detroit Mayor Hazen Pingree devised a plan to help the city’s unemployed laborers during a period of economic crisis. Pingree developed an idea to use acres of vacant and idle lands throughout the city to create subsistence gardens. Begun in 1894, the program would peak in 1897 with the participation of more than 1,500 families. The program would taper by 1901 as the economy improved, but there’s no denying the relative success of the mayor’s program. ← A Lush Urban Garden or Senior Citizen Housing: Which Would You Choose?